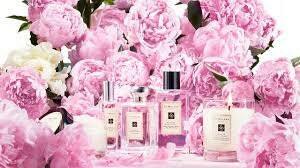 Fragrance Description: A beautiful scent of peonies in voluptuous bloom. Mingling with the sensuality of soft, blush suede. Excellent product...prompt mailing...packaged well...thank you for the extras. Arrived quickly...packed well.....great fragrance oil.....thank you for the free gift too. Happy customer.